This is an intensive training and spiritual retreat on Taoist wellness (yangsheng) practice, either one-time overview (2-3 hours workshop) or one or two-day camp, available upon request. 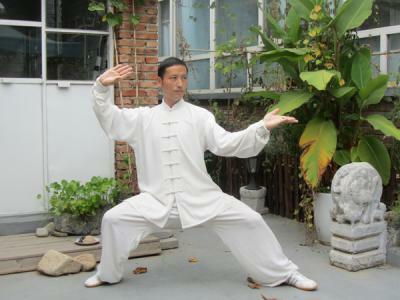 You will learn all about traditional Taoist Yangsheng (wellness or literally health cultivation), from Taoist Taichi, Qigong, breathing, meditation and medicine, to traditional Chinese diet, and mind/body knowledge and self-cultivation. 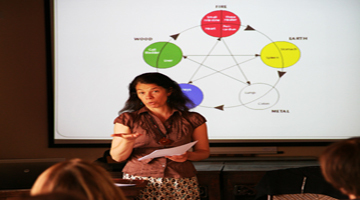 The master will guide you, in English or assisted by interpreter, on these traditional mind/body wellness exercises. 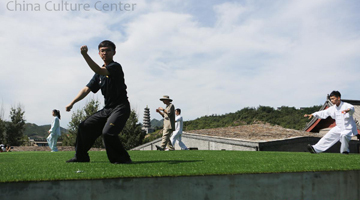 * 8:30-9:30 drive from the city to the master's home in a village of Tongzhou, east suburb of Beijing. 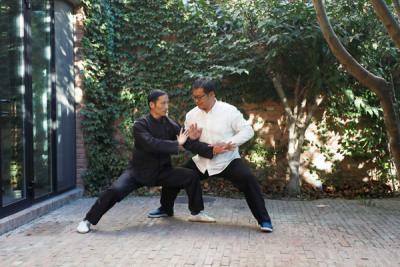 * 10:00-10:30 Zhàn zhuāng, literally: "standing like a post", a training method often practiced by students of neijia (internal kung fu), such as Xing Yi Quan, Bagua Zhang and Taiji Quan. 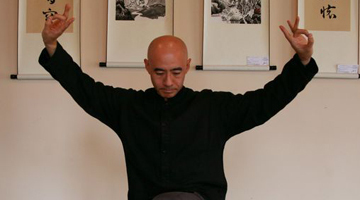 * 10:30-11:00 Silk-reeling, core practice of Taichi Quan. 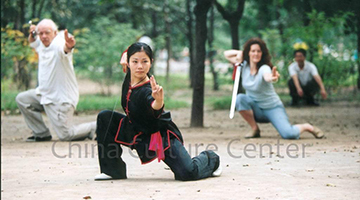 * 11:20-12:20: Shaolin Dharma Yijin Jing (Muscle/Tendon Change Classic), literally: "Muscle/Tendon Change Classic") , a series of exercises (as a form of Qigong), coordinated with breathing, to enhance physical health dramatically. * 20:00-21:00 Taoist meditation- the practice of breath control to get more energy to flow through the Xiao Zhou Tian (the yin and yang meridians) and Da Zhou Tian meridians (the twelve organ meridians), eventually to keep healthy and to have a long life. * 14:00-14:30 Buddhist meditation (the practice of mind control to brighten people’s lives and to gain wisdom). * 17:00-17:45 Taoist meditation: Da Zhou Tian & Xiao Zhou Tian. * 18:00-19:00 return to the city. 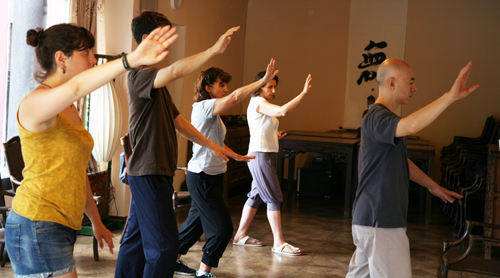 * The price includes the Taoist master‘s two-day immersion training in his own courtyard house, English interpreter, air-conditioned private vehicle transportation, accommodation ( 4-star boutique hotel near the master's home), meals, tea and refreshments (one dinner, one breakfast and two lunches at master's home). Additional RMB450 will be charged for hotel single room supplement. * Departure requires a minimum of 2 persons, and the retreat limited to 6 people. * We will leave from CCC Beijing at 9:00, October 26th for suburb of Tongzhou, east of Beijing, and return to the city at around 18:00, October 27th. Payment Methods: Please click www.chinaculturecenter.org/info/content/530for all six payment options. Since the day tours and classes involve relatively small amount of money, we recommend you to ask your Chinese friends or colleagues to help you transfer the money by WeChat Wallet or Ali Pay, the easiest and fastest ways to make payments in China. Note: Prepayment shall be made at least two working day before 5pm Beijing time prior to the tour/class time (before Friday 5pm if the tour/class is on Sunday), so CCC staffs are able to check and confirm. If you use international credit card wire the fee (which may take some time), please send us a photocopy of your receipt (a picture by your cellphone) to prove. Cancellation policy: If you have to cancel after you made prepayment, please let us know (by phone call) 48 hours in advance. 50% of tour/event fee will be charged for cancellation if you do it within 48 hours, 100% of tour/event fee will be charged if you cancel within 24 hours’ notice. All prices listed are for private individuals. Corporate clients will be separately quoted.